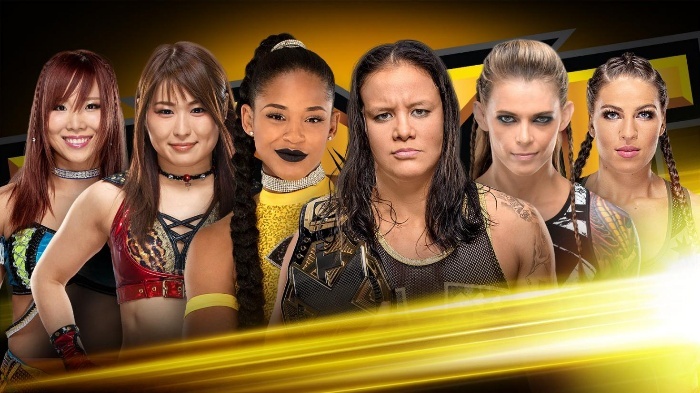 The most searing vendettas in the NXT Women’s division will coalesce this Wednesday when Bianca Belair joins forces with Kairi Sane & Io Shirai to battle NXT Women’s Champion Shayna Baszler, Marina Shafir & Jessamyn Duke in a high-octane Six-Woman Tag Team Match. After suffering a defeat at the hands of Sane & Shirai last week, Shafir & Duke are looking to even the score against the duo known as The Sky Pirates. Belair, meanwhile, is still searching for payback from The Queen of Spades and the Four Horsewomen’s “ground soldiers,” who, let it not be forgotten, stuck their noses in The EST of NXT’s championship match against Baszler at TakeOver: Phoenix. Will Belair’s nascent alliance with The Pirate Princess and The Genius of the Sky hold up under the crushing power of Baszler, Shafir & Duke, or will the Horsewomen, who are teaming together for the first time on NXT TV, stampede their way to victory? As a member of the 205 Live roster, Drew Gulak has made it his life’s mission to return pure, scientific wrestling to the forefront of sports-entertainment. 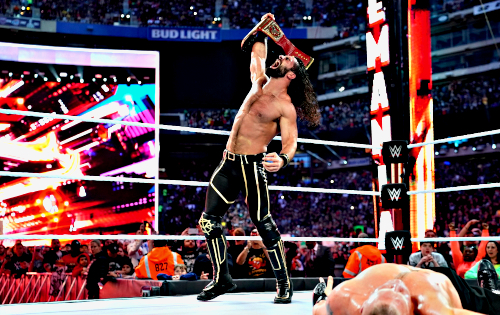 While his efforts would likely earn a nod of approval from legendary technicians like the late, great Lou Thesz and Karl Gotch, the self-righteous way in which he champions his cause hasn’t always been warmly received by the WWE Universe or his fellow Cruiserweights. Now it appears that The Philadelphia Stretcher’s campaign is headed to the black-and-gold brand. See what the submission specialist has in store for NXT when he steps through the yellow ropes this Wednesday on WWE Network. Jaxson Ryker is the type of guy Jim Croce wrote songs about: A roughneck who rolls into town with a bad attitude and in search of a good fight, who absorbs punishment like a sponge and dishes out beatdowns like they’re going out of style. 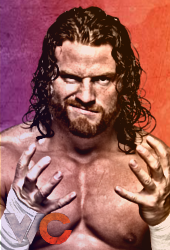 Even when he’s not a legal participant, the savage Superstar can drastically alter the complexion of a match in an instant, as he showed during last week’s showdown between The Street Profits and his likeminded running mates, the ill-tempered Wesley Blake & Steve Cutler. This week, however, the Forgotten Sons’ heavy returns to the ring for singles action. Win or lose, Ryker is sure to inflict pain that his opponent won’t soon forget. The Six Women Tag could be fun. Shafir and Duke haven't been good so far in their careers, but with Baszler leading them, it could lead to something promising. Bianca Belair, Io Shirai and Kairi Sane teaming together is certainly interesting. Belair looks to be going in more of a face direction and I think that'll do her good. Develop her more, let her branch out and try different things. It is NXT after all. Gulak on NXT? Wow. I do love the occasional Main roster (205 Live included in this case) appearance. They are always special and the crowd treats them as such. Hopefully he gets to have a kickass match with someone. I agree not really impressed by either lady, but you get better by being in the ring with talents who are better than you. Who better than two vets like Kairi and Io to be in the Ring against, and a young hot talent like Bianca. Gulak on NXT give me that baby! I know this may not be up everyone's cup of tea but I thought this was a ton of fun. His match with Gulak was fun too, and Gulak's match with Riddle was good stuff. Really enjoyed this episode of NXT. Thought the opening segment was really well done. I'm sold on Dream and Gargano for the title. Also I know some people aren't as big on them, but I'm still a fan of the forgotten sons. Ryker squash was decent. Hoping he and the rest of his group get a new feud soon. As Jimmy King just stated above, Eric Bugenhagen was a ton of fun, he brought a ton of energy and honestly He'll be a hit in NXT kinda like Adam Rose/No Way Jose were. Want to see more of him haha. Glad to see Gulak in NXT and I loved his match with Riddle. Did pop a little for the catch point reunion at the end. Finally have to say the main event was a lot of fun. Know Duke and Shafir have a lot of work to do, hoping this kinda brings an end to their series with Kairi and Io as both defo need a step up in opponent quality. I know right it was like Belair saying I'm not getting pushed aside ladies. I expect some kind of contendership with all three ladies, still think Bianca has a heel vs a face, I'll take her as a heel. I dug that opening Segment with Dream, Gargano, and Ciampa. The Dream might of not of said it flat out, but he considers Gargano above Ciampa and wants to take his title. 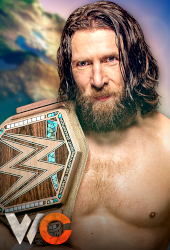 No way do you stop the Dream from holding the NXT North American Title this time around new Champion is coming maybe not on the first shot, but it's going to happen. Jaxson Ryker vs. Mansoor. Squash Match to make Ryker look like a person that should be in the Nut house job well done. Drew Gulak vs. Eric Bugenhagen/Matt Riddle. When I saw Bugenhagen come out I was like really you're putting this bobohead with Gulak then I saw his Entrance I turned my thoughts on him. Dude is singing high notes and doing Guitar moves in Submissions he's going to get over let's see if his abilities match the character. Thank God Riddle stepped AND HE DID.. I WAS LIKE OH MY THESE TWO! I don't think I've ever seen Gulak ever...EVER...shake someone's hand and he did with Riddle. A beautiful balance between old school vs new school in terms of Wrestling and I was happy with the way the Match went. Gulak gave Riddle his toughest test when it comes to pure Wrestling and Riddle was ready for the challenge. Could be a sneaky Match of the Month nominee for sure. Io Shirai, Kairi Sane & Bianca Belair vs. Shayna Baszler, Jessamyn Duke & Marina Shafir. I have a question what does WWE plan to do with Duke and Shafir if they don't all come up together? Those Matches could be unbearable if they are forced together on the Main Roster. I think they rushed those two ladies into the Ring, but now they are there to have to learn faster than they normally would. Io and Kairi both impressive in the Match both deserve a NXT Women's Title shot. 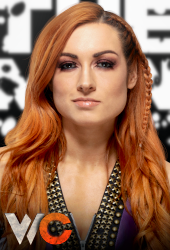 I like how they didn't have Bianca do too much in the Match we could be seeing a Fatal Four of some kind because you can't leave Io and Kairi outta the chase right now. Last edited by Kairi HoHo; 02-08-2019 at 04:03 PM. I already hate Bugenhagen Think I can already see his career path of being called up to the main roster sooner than talented wrestlers because he has an entrance that's over and nothing else, Triple H will have no use for that on a takeover. Thought the Drew Gulak/Matt Riddle match was really good and was cool to see the catch point handshake being brought up. I thought the trios match at the end of the show was actually pretty good with the interesting ending that Bianca wasn't too pleased that Io took the win for the team. Think that's the most comfortable Io has looked in NXT since she arrived, she nailed everything. Thought Shafir was fine in the match and my only issues were with Duke. Bugenhagen has a colourful look. A unique gimmick. Should be a fun comedy guy. But like Ed said, is more suited elsewhere even if he isn't exactly ready. 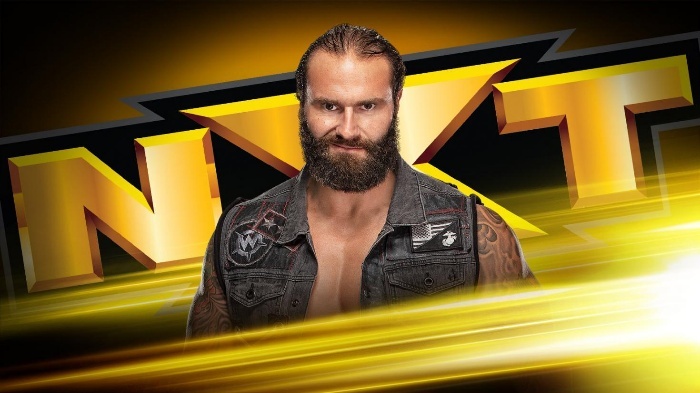 He won't make the fans chants "this is awesome" which is clearly what NXT targets now so he won't last long once Vince here's his name. I had fun seeing Gulak wreck him . Gulak vs Riddle was an excellent match. It was honestly a better showcase for Riddle than he got with Ohno, and I loved the Ohno matches. Showing off his technical skill as well as his explosive strikes is what's best for him. The bro stuff can be a bit tiring to some but it doesn't bother me actually because when he does get fired up and angry or something on those lines, it means much more. The Catch Point handshake was awesome too. Loved that little nod to their EVOLVE days. I loved the main event tbh. Putting the two duo in tags is absolutely the way too go because they looked better here, especially Shafir who has a wicked forearm that I want to point out. I thought she looked quite good at times, she just needs to quickly learn what she is good at and stick to that. Duke was okay, still VERY awkward at times. But as a team, they all gelled pretty well I thought. Everyone got time to shine and it felt very competitive. Good stuff. Elias’s future feud/tag team partner. God that guy is ridiculously irritating.